Pakistan is a nuclear state. It has cancelled out the threat of India’s size, military might and nuclear reach once for all. Unless Indian leaders decide to consign their cities and people to history books, there will be no war. The Indian Government is engaged in a war with the people of Indian administered Valley for the last 27 years. During these years these forces have killed a generation of Muslims who lived in Kashmir valley. A UN report has estimated that there are 500,000 to 700,000 Indian soldiers in the Valley. The number is aided and assisted by special laws and now a ‘strong state doctrine’ has been put in place to use brute force and kill as many Kashmiris as possible. 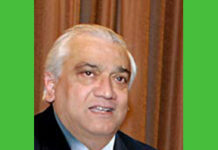 United Kingdom Expert on the Sub Commission of Human Rights in Geneva moved a resolution against violation of human rights in Indian administered Kashmir E/CN.4/Sub.2/1997/L.21 on 15 August 1997, and reminded the world that United Kingdom of Great Britain and Northern Ireland had left in the sub-continent traditions of, imperialism towards people and their territories, harsh military suppression of dissent combined with sweeping special emergency powers, reactionary penal laws, double standards in human rights and the unwillingness and a degree of inability to undertake real reforms and exploitation. 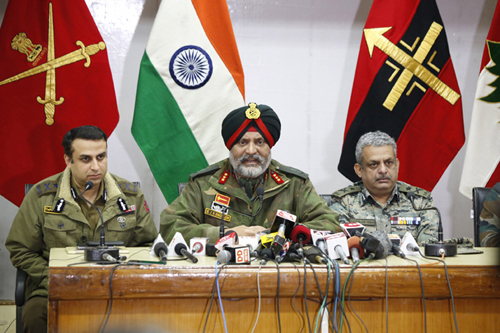 All this is a manifestation of the arrogance with which the GOC 15 Corps, Lt Gen KJS Dhillon, threatened Kashmiri women on Tuesday 19 February 2019 saying, “Tell your sons to surrender or they will be killed”. It is an example of an imperialistic threat and a case of harsh military suppression of dissent. The Valley is not an Indian colony and Kashmiri mothers are not colonised people. General Dhillon is not the British colonial General Dyer that he would be allowed to stage a Jallianwala Bagh like massacre. Kashmir is not the Amritsar of April 1919. We live in 2019. However, Indian politics and military have caught the communal virus and the target to kill are Kashmiri Muslims, in particular the youth. The bacchanalian behaviour of General Dhillon could manifest itself in a tragedy. Therefore, it is time to examine the merits of this threat and neutralise it. If the so called ‘mainstream politicians’ wish to serve their oath and their voters in the Valley, they need to move swiftly against General Dhillon and the institution of the Indian army stationed in the Valley. The National Conference has a principal role to play. Every local Government needs to know that the Indian army has been granted a temporary admission to perform four duties in Kashmir. This force is a supplement and a subordinate force. Therefore, if the State Government has the welfare of the people at heart, it could terminate the permission granted to Indian army or bring it under a stricter code of conduct. United Nations allowed this contingent of the Indian army on the assurance of good behaviour. The other convincing argument was that the UN Commission would be around to supervise these forces. United Nations, however, decided to put in place three more restraints on the behaviour, number and location of these forces in its resolution of 21 April 1948. We need to highlight that there is no UN Commission in Kashmir, we have UNMOGIP personnel. We have the Kashmiri Government except at this point Delhi rules and interferes in Kashmir directly through Presidential Rule. In fact, this army is subordinate to State administration and unless NC, PDP, PC, CMI and other political parties are ignorant or have sold their soul to Lucifer, Indian soldiers can’t move against their writ. General Dhillon’s threat has no merit. It constitutes a disobedience and warrants a serious action against him. The remedy to curtail the authority of these forces lies with the ‘mainstream’ political parties or a serious challenge could be made in a court of law. General Dhillon could be carefully packed by the State Government back to Delhi unless he desires to meet the fate of General Dyer – a cerebral haemorrhage and arteriosclerosis. The Government of Azad Kashmir and the Government of Pakistan could alert the United Nations of this new situation and urge them to take immediate measures on the basis of a proposal made by Pakistan to send UN Forces to Kashmir. The proposal to induct UN force in Kashmir was debated at the 769th Meeting of the Security Council, held on 15 February 1957. The meeting was chaired by Sweden and attended by the representatives of Australia, China, Colombia, Cuba, France, Iraq, Philippines, Sweden, Union of Soviet Socialist Republics, United Kingdom of Great Britain and Northern Ireland and United States of America. A draft resolution for demilitarization was sponsored by Australia, Cuba, United Kingdom of Great Britain and Northern Ireland and United States of America. Sweden as Chairman of the security Council has pointed out that “The other course is this: if it should be found that the question cannot at the present time be solved through negotiations, it might be useful to have certain underlying problems of a legal character progressively clarified in order to create better conditions for an agreement. Para 40 – Now that nine years have elapsed without any progress being in sight for an agreement between the parties, we would have thought that the time had come to try the alternative. In the opinion of my Government, this could then best be done by referring to some of the legal aspects of the matter to the International Court of Justice for an advisory opinion…We are therefore fully prepared to accept the ideal behind the draft resolution which is before the Council”. 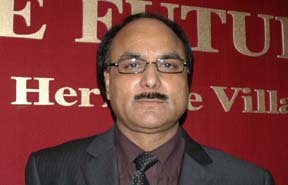 After the June 2018, UN report describing Kashmir as one of the most militarised zones in the world, surfacing of the ‘Strong State Doctrine’ to use brute force to kill as many Kashmiris as possible, the threat issued by General Dhillon to Kashmiri mothers and the helplessness of mainstream political parties or their acquiescence to Delhi’s policy, it is important that we move to UN Security Council or the ICJ on the status of Indian army in the Valley.